5 Ord Street is a boutique, three level office building with secure basement car parking. It is prominently located on the corner of Ord Street and Colin Grove, opposite a Red CAT bus stop. 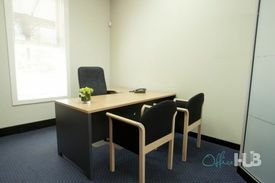 The 72sqm suite is on level 2, is very well presented and is mostly open plan with an office/meeting room. With fibre in place and two on site car bays the suite is ready to go! For further information contact exclusive leasing agent Matt Wells.